Salesflare is a full-fledged customer relationship management software that fully automates the contact and company info. The software streamlines operations with automatic logging of meetings and phone calls. Salesflare CRM software also helps in maintaining a handy document folder per customer and collaborating efficiently on customer conversations. Salesflare comes with the functionality of easily integrating software tools and platforms such as Gmail, Office 365, Exchange, iCloud, PieSync, Zapier, etc. This comprehensive customer relationship management software is best suited for startups and small businesses. Salesflare develops software solutions for small and medium size business to increase their productivity. It has designed the renowned Salesflare CRM software to efficiently manage operations related to sales and marketing. Don’t worry about storing telephone numbers, email addresses or postal addresses for every customer anymore. No more searching for LinkedIn profiles. Salesflare gathers this information from emails, email signatures, social profiles, and more. Everything automatically appears in your address book. Stop losing time on reporting what you’ve done. Salesflare connects to your calendar and mobile phone to log your meetings and phone calls with customers for you. Zapier gives you the power to integrate Salesflare with hundreds of other apps you use like Mailchimp, Google Contacts, and Slack to automate the tedious tasks in your workflow. Developers love our REST API. Within a few minutes, your development team can start exchanging data with Salesflare from your CRM, ERP or other customer related systems. Salesflare automatically identifies which of your team’s email and phone contacts are customers. Contact details are shared in one central address book, so the whole team can rely on complete information. Private contacts always stay private. 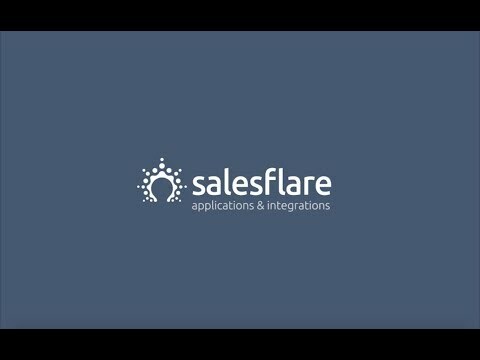 Time to discover Salesflare's apps & integrations. Q. Can I purchase for one month? Yes, you can. Licenses for Salesflare are either billed monthly or annually. Monthly pricing is slightly more expensive, so if you are committed to improving your sales productivity: go for the annual plan. Q. Do you do revenue sharing as well? Yes, Salesflare do. They are serious about increasing sales performance. Therefore, they are open to share the investment and result with you. Please raise this option with them if you are interested. Q. What is the difference between the prefilled data and the custom data imports? Prefilled: Salesflare connects with your email system and identifies accounts and contacts you are currently selling to. These are automatically enriched with contact information. Opportunities are added and your latest interactions are mapped. Custom data imports: You deliver your existing customer data. We import it. Q. How do I get my team to use this? You send email invites from inside Salesflare. Setup only takes a few minutes. Once this fast setup is complete, team members keep sending emails and scheduling meetings as usual – Salesflare will capture this activity and make it trackable for the whole team.